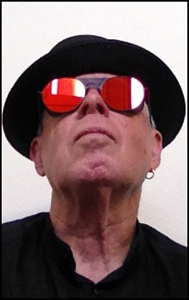 KALW.org is the oldest non-commercial station in California and west of the Mississippi. It’s highly unusual for a radio station to be around as long as we have. But thanks to listener support, KALW has hung on for 75 years. To celebrate, we’re hosting a special concert on August 4th at the Nourse Theatre in San Francisco. 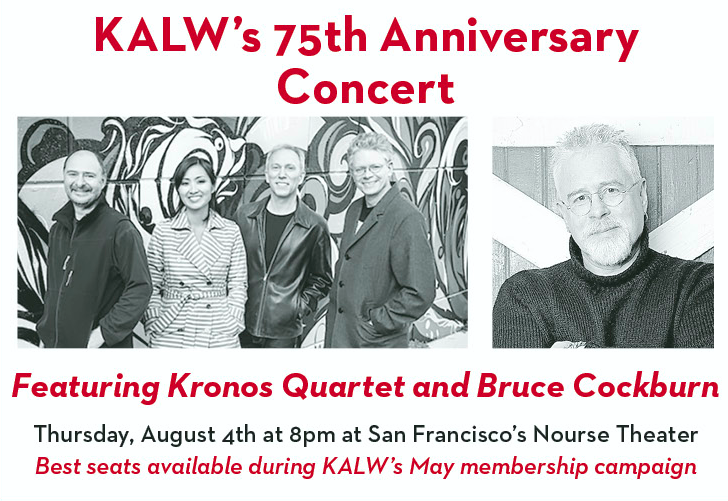 Headlining the concert will be Bruce Cockburn and the Kronos Quartet. We have a limited number of VIP tickets [scroll down] to a post-concert reception with the musicians and the best seats in the house. $35 Tickets are available for this show! Regular admission tickets are now on sale.